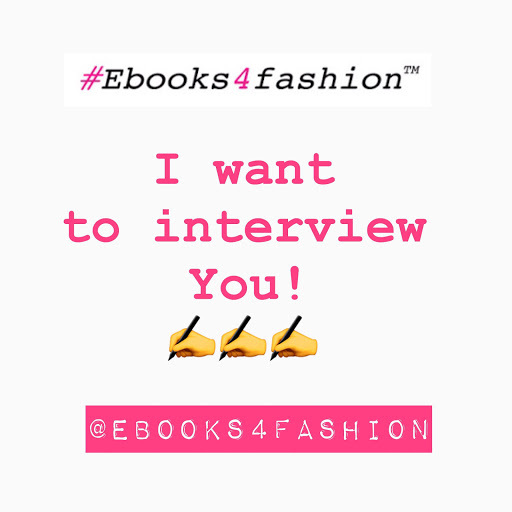 I’d love to Interview YOU for my new project Fashion Business Spotlight! Fashion Business Spotlight will be a new part of Ebooks4fashion.com and I will feature Fashion Businesses and Fashion Entrepreneurs like YOU every month! I will select also some interviews to publish on Maiden-Art Blog, too. > When & Why did you start your business in fashion? > Which is your background? > How would you describe your work, what is your mission and vision for your fashion business? > What is your big challenge in your fashion biz? > Which is your goal as a fashion entrepreneurs? > How do you see your fashion business in future? I’m looking forward to Your Interview on Fashion Biz Spotlight! PS. Did you join my Facebook Group? If not you can do it now here. ← Be Unique with your Own Story!